Did you know a browser (i.e. Chrome, Safari, Firefox or Internet Explorer) can ONLY display fonts, for the web page being viewed, that are installed on that particular PC or MAC? To the average business person interested in a particular website design ‘Web typography’ and the use of fonts on the World Wide Web can be a confusing subject. What it means to a website owner is that visitors MAY NOT see their site exactly as planned unless they choose fonts carefully. 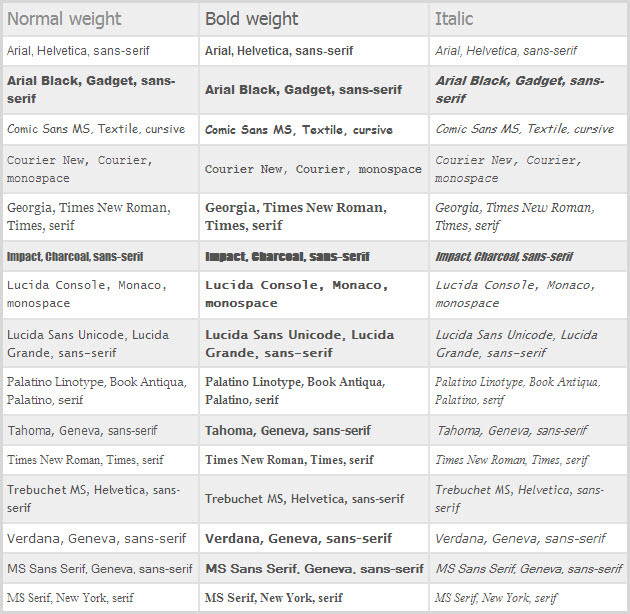 To avoid the possibility of visitors looking at a web page in a font never intended it’s important to choose from what are the most universally accepted fonts. Fonts used by the most versions of Windows and Mac operating systems. 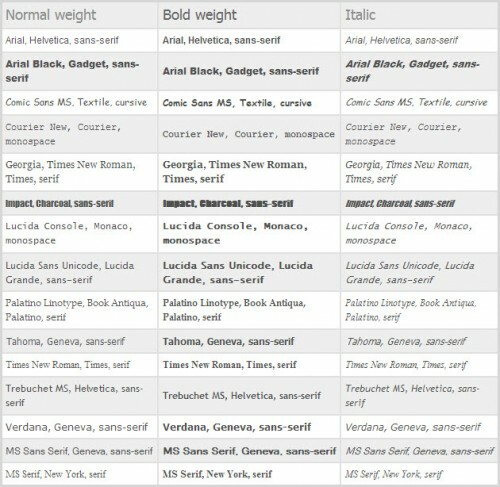 For a greater depth of information on the subject try ‘Web Typography’ and the use of fonts on the web‘. Ask Us About Custom Website Design , Theme Customization or about pure Graphic Design for a new Logo today! Page URLs And Your Traffic! 10 Reasons Why We’re Going To MailChimp!